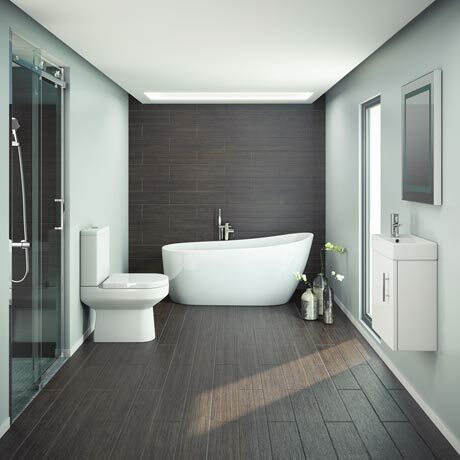 The Miami Modern Bathroom Suite features a beautiful contemporary slipper bath, stylish modern toilet and a compact, space saving basin. All parts of this contemporary bathroom suite are finished in a brilliant high gloss white, great for creating a fresh and clean makeover. The striking design of the modern slipper bath has no tap holes, meaning it's designed for use with wall-mounted or floor-standing bath taps. Love this! Basin is abit small for the bathroom but it was perfect for my downstairs toilet room.